It wasn't that long ago that we were all upgrading from tubes to flat panels, from square to wide screens. Every year brought bigger and thinner models with higher resolutions. Today, we've plateaued. Manufacturers have tried to keep innovating. But technologies like 3D and curved displays have yet to gain any real traction. For many shoppers, a $4,000 top-of-the-line model is indistinguishable from the $250 option at WalMart. And at least one TV maker seems to have noticed. 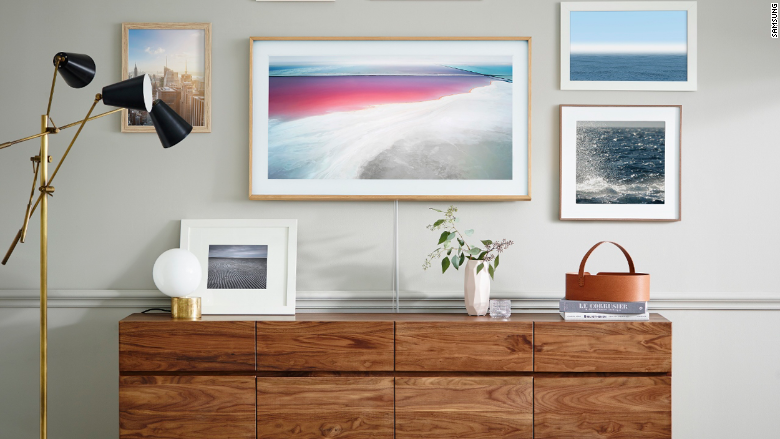 With Samsung's new Frame TV, the company is taking things in a different direction. 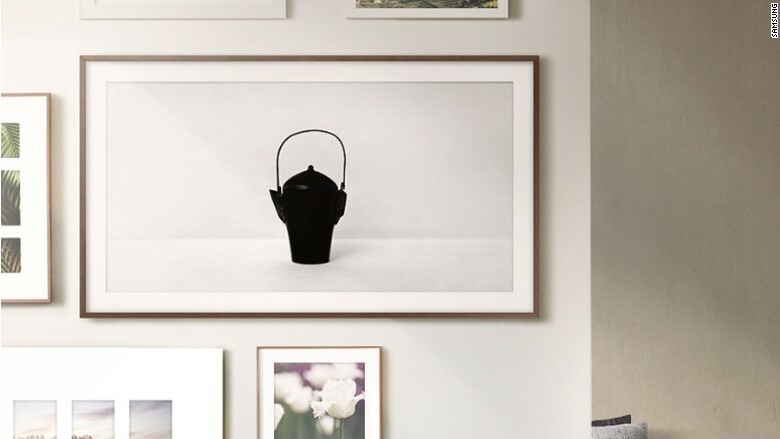 As the name implies, the Frame is designed to look like a framed piece of art hung on your wall. Until you turn it on. People arrange entire rooms around a TV that, when turned off, is just an ugly black rectangle. Samsung has designed a TV meant to blend in. They've embraced the boring. Until you see one in person, it's hard to describe just how well the Frame does blend. When the television is "off," the matte-finished screen is filled with art. It comes with 100 free options -- from colorful abstract patterns to stark black and whites. You can also buy more right from the TV itself ($19.99 apiece or $4.99 a month to subscribe to the entire collection) or upload your own. The Frame also gives you the choice of three, well, frames. By default, the television has black edges. But you can snap on a white, walnut or beige wood frame to best match your home decor. Each will set you back an additional $200 to $250. By some strange magic, the illusion works. I'm not sure if it's the artwork Samsung chose, or the overall design, but the first time I saw the Frame, I could have sworn I even saw the texture of the paint. It really does seem real. The Frame became available in the U.S. last month and will set you back $2,000 for the 55-inch model or $2,800 for the 65-inch. At those prices, it's clearly still meant for high-end buyers. But they will undoubtedly come down. 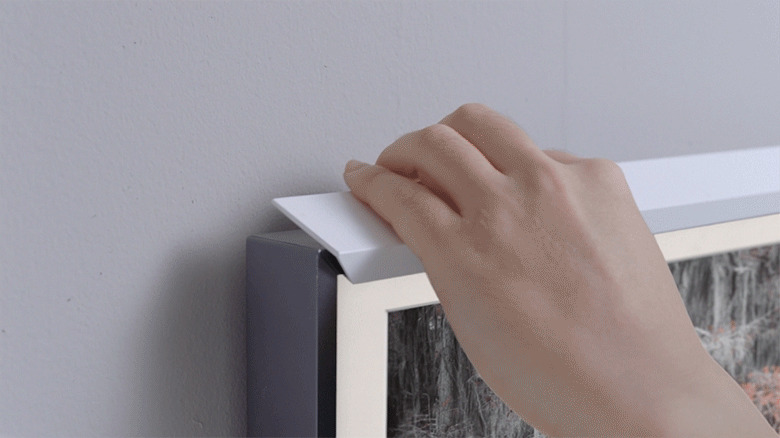 And when that happens, designs like these could be the future of TVs -- a world where the screen is there when you need it and gone when you don't.